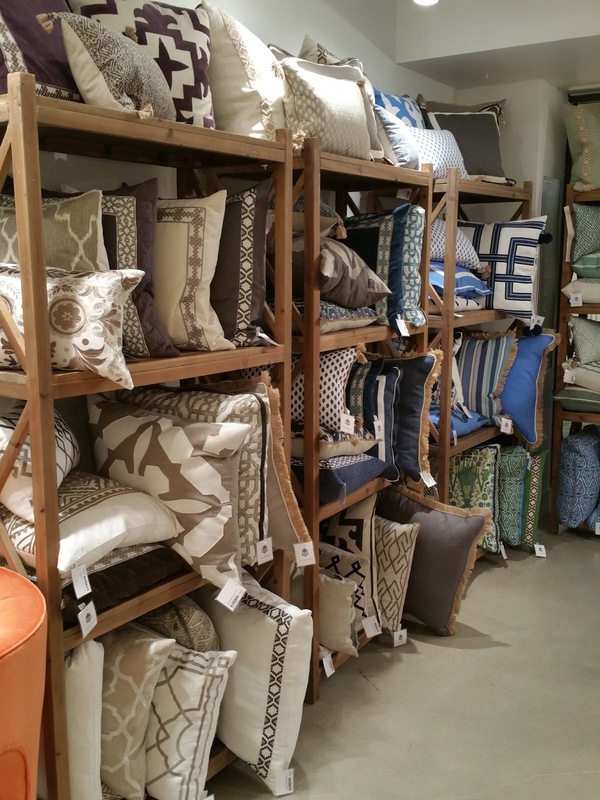 Since you can never have enough pillows in our biz, we added a new line of pillows. 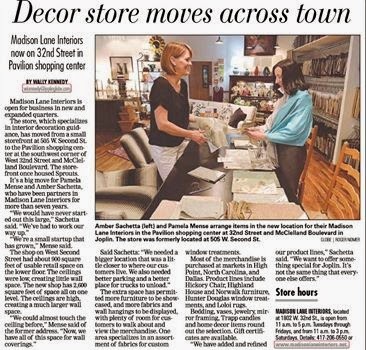 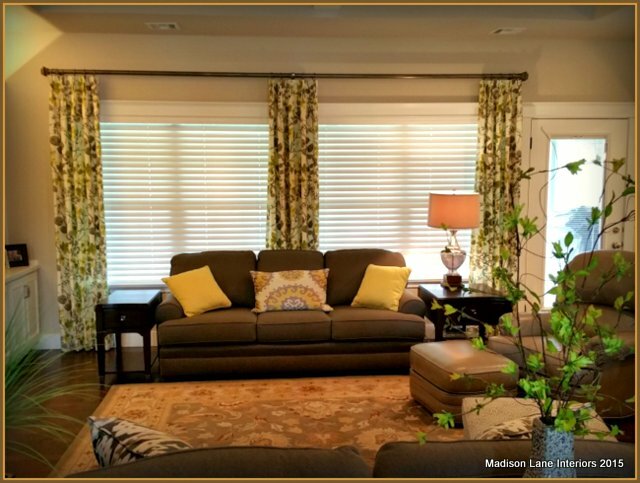 From their website: A recognized lifestyle brand based in Atlanta, Lacefield takes an artistic approach to home decor with its printed textile, decorative pillow and drapery lines. 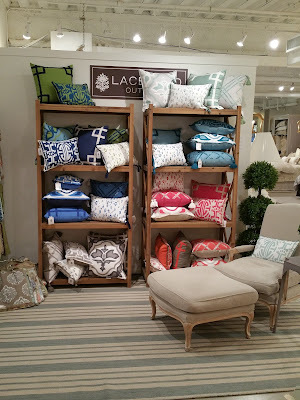 Founded in 1996 by Beth Lacefield, a veteran in the worlds of fashion accessories and home decor, the company has become known for its sophisticated styling, globally inspired designs and fashion forward details. 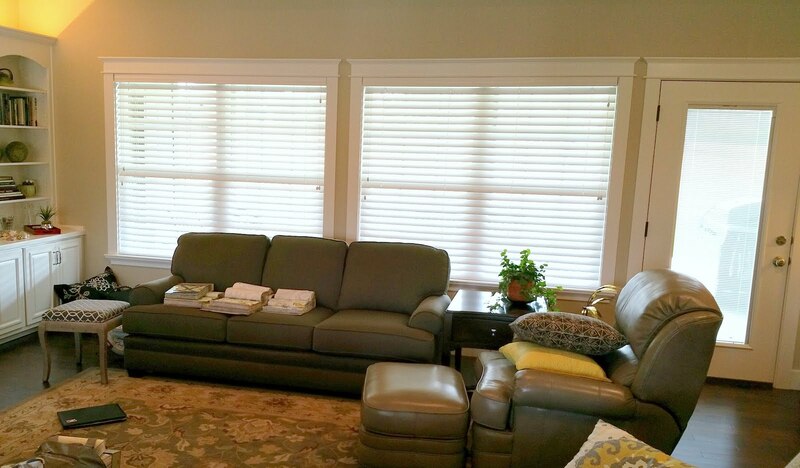 They offer a great collection of colors, and the trims on the pillows are their own, so you won't see them everywhere! 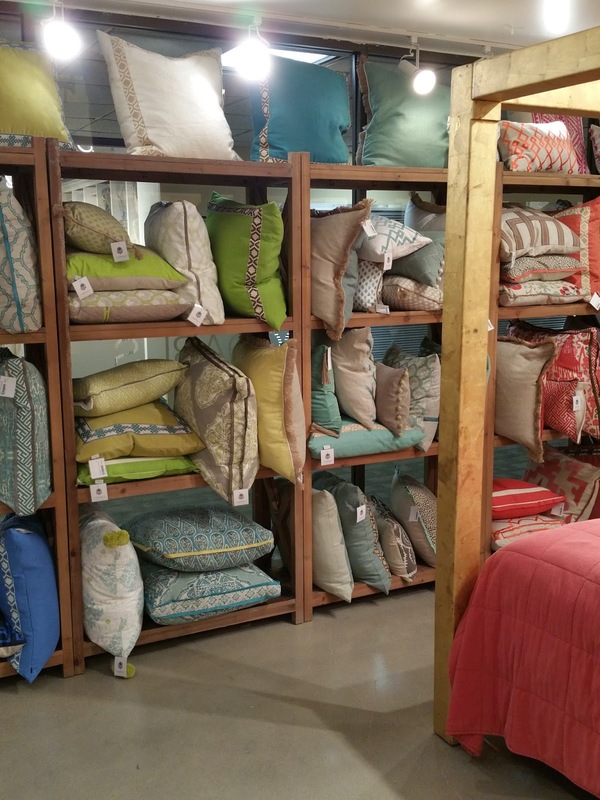 By the time they use the down/feather fills, the pricing will be less than a custom pillow, but with the same look. We'll be bringing a table and chairs into the store very soon. 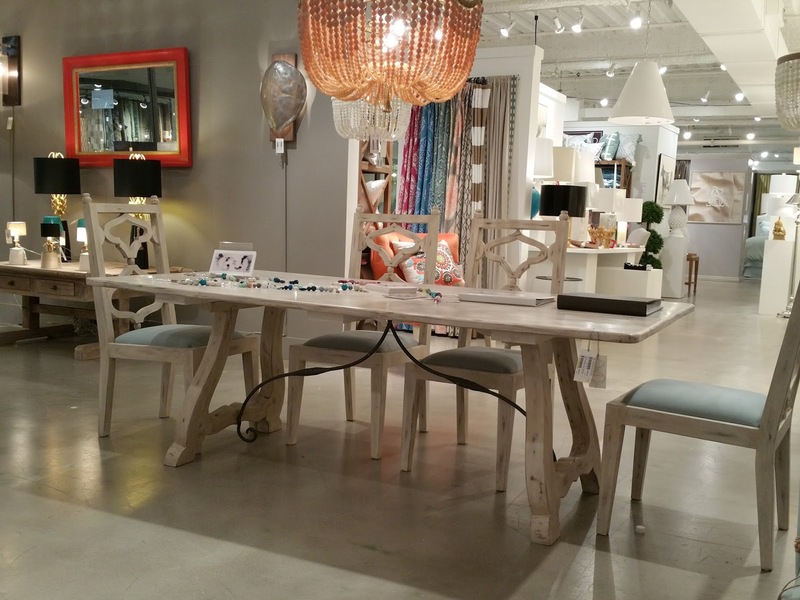 We thought the look was fresh and new, and not too heavy and big for most dining rooms. This company, Ro Sham Beaux, also carries a very unique line of lighting. 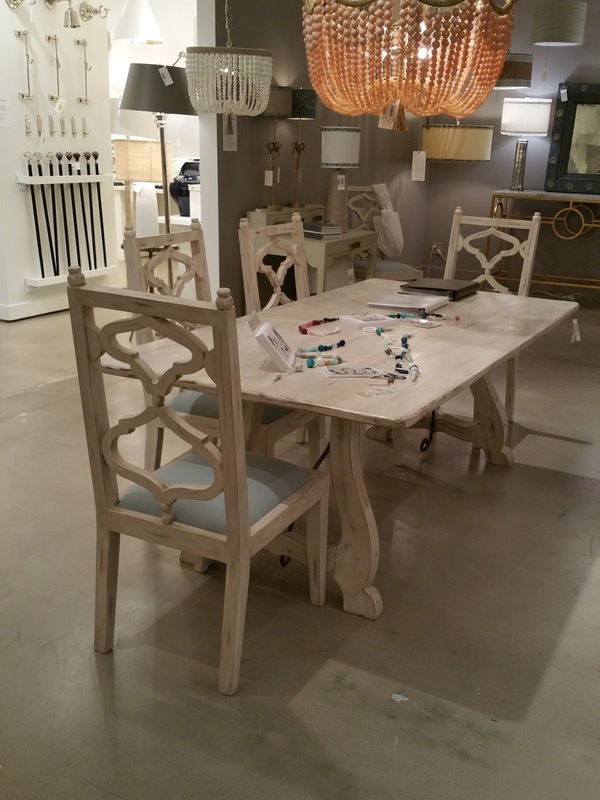 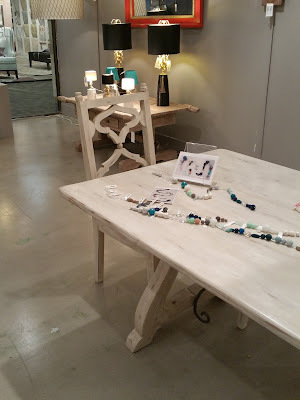 If you noticed the beads on the table, you were seeing all the various colors you can choose for a hanging light (as seen in this photo above the table). Most of our "finds" will take a month to arrive in the store. 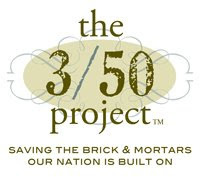 In the meantime be sure to check in and watch for upcoming sales as we clean out some older inventory.